With digital transformation, new roles have emerged in the newsroom. Interactive journalists brought developer and designer skills to storytelling. Social media editors, now more frequently referred to as engagement editors, brought the audience into the newsroom. Analytics and data experts, often with titles like growth editors, moved from the marketing department to the newsroom floor, leading audience growth from an editorial perspective. More recently, we’ve seen product managers getting more involved in editorial projects, bridging the gap between engineers and journalists. These roles have been characterized by the development of new skills, but they have also played an important part in driving cultural change across news organizations. Traditional roles that used to have clearly defined labels are going to be less and less the norm across the industry. Instead, roles that connect departments and specialties and act as translators — not of languages but of mindsets — will play an ever more important part in companies that are pushing forward their digital development. These are hybrid roles that are breaking down barriers by working at the intersection of various disciplines. They speak the language of journalism, engineering, and product management. They focus on how to improve collaboration and are part of multi-disciplinary teams. While they may report into one department, they often act as representatives of product in the newsroom or editorial within product. In 2018, it’s important we start seriously thinking about how these roles — and the people in them — can evolve. These jobs are not easily categorized and are difficult to explain not only during a dinner party or in conversations with our parents — even colleagues battle to grasp their peculiarities. Many of these positions are currently the product of the personal development of those who are shaping them every day, reflecting a unique combination of experiences and opportunities. One is rarely similar to another. What they have in common is that they’re often placed in cross-functional teams and have a bridging component. Their importance is that they are agents of change. When you are creating a new role (and many of these are created by those who end up in them), it’s difficult to know where you are going and what you’re measuring yourself against. Newsrooms need to start thinking about establishing a real career path for their bridgers: What will happen when they leave? Will any one person be able to replace them, or are the roles too tailored to an individual? What kind of frameworks can be put in place? In digital transformation, the transition never stops and the learning curve is constantly evolving. If change is the new norm and these roles will be key to that change, it’s important that we start to raise awareness around their challenges and empower them to keep pushing innovation forward now. 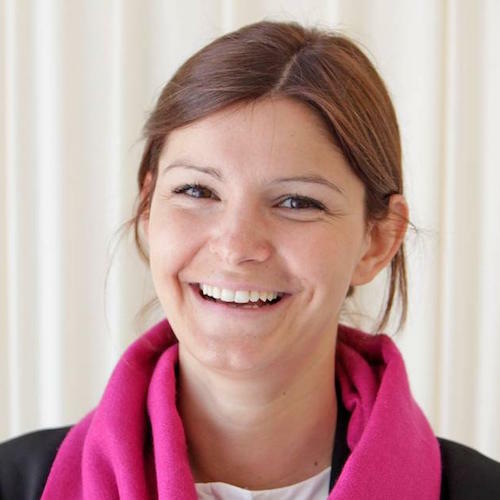 Federica Cherubini is head of knowledge sharing at Condé Nast International. Dec. 12, 2017, 10:56 a.m.